We finished the boat yesterday. 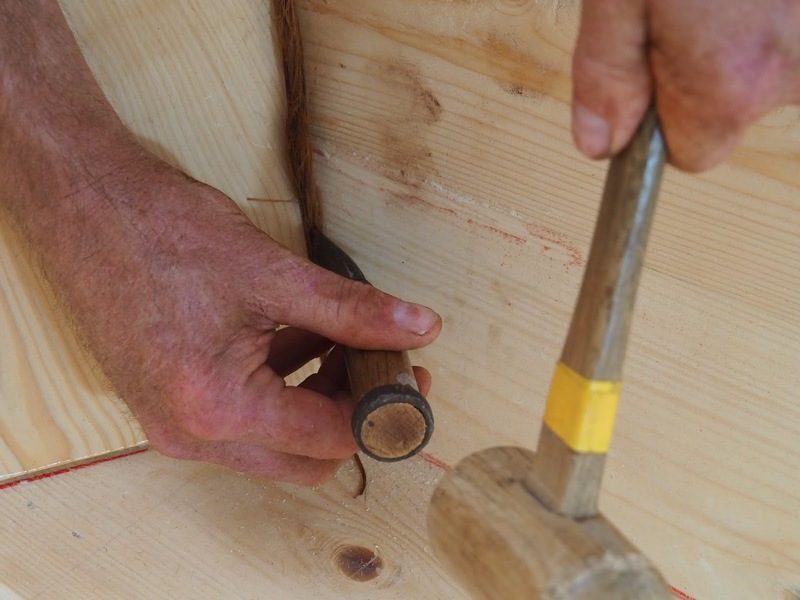 Today I am going in to make a traditional bailer and then we are ready for the launching next Saturday, which I will blog about probably after I return home. 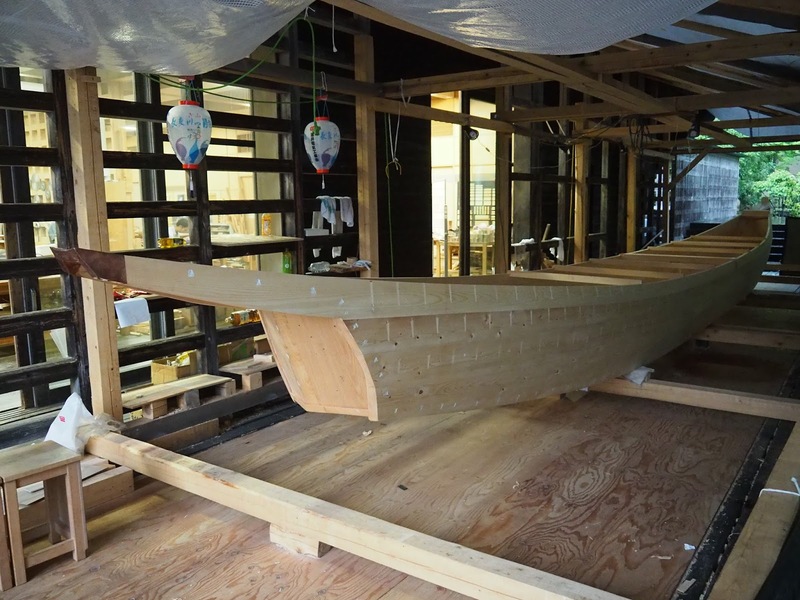 All photographs in this post were taken by Masashi Kutsuwa, furniture instructor at Gifu Academy where we built the boat. Last job was caulking the boat. 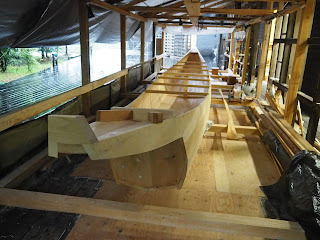 In Japan boats are caulked from the inside, using the inner bark of the cypress tree, a product called makihada. Nasu has typical caulking irons but his are bent. 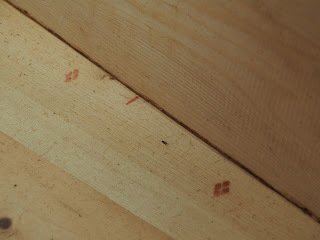 We made no specific caulking bevel beforehand, instead we used a blunt iron to pound a seam open about 1/16th of an inch. We pounded the material in and probably opened the seam to an 1/8". 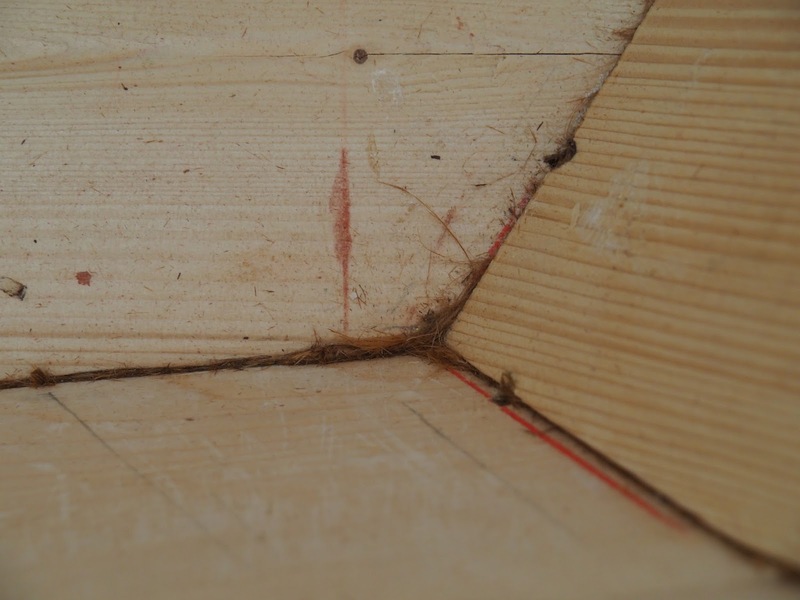 A look at the joint between the bottom, side and transom. 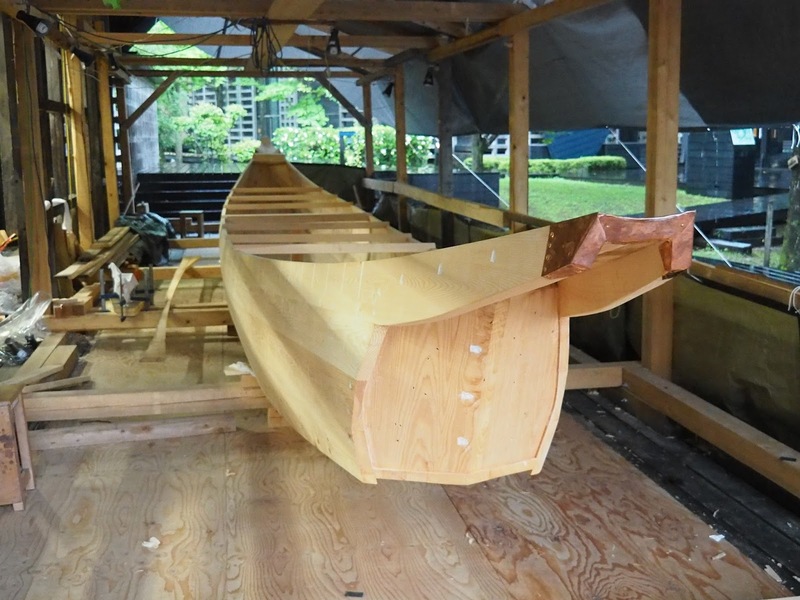 A view of the finished boat from the bow. 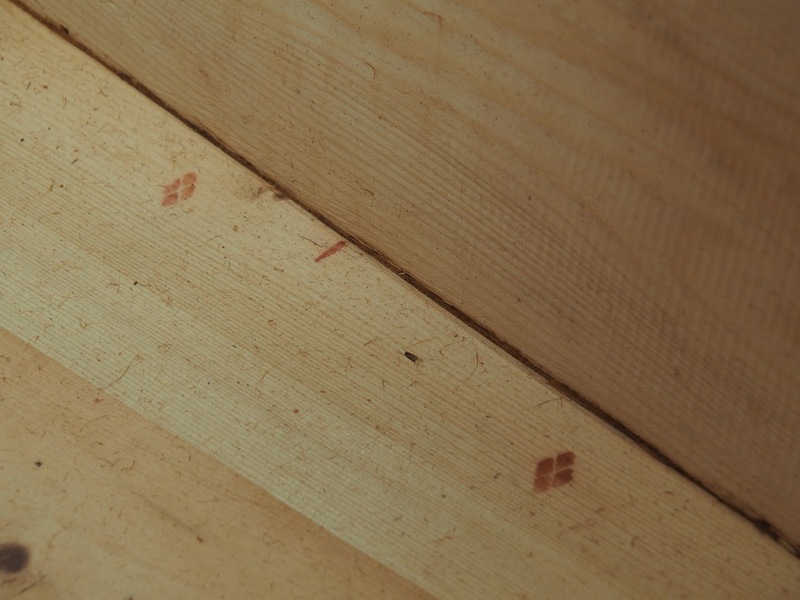 The small beams are temporary, placed by fishermen when the boat is not in use to hold its shape. The single permanent beam is not enough but cormorant fishermen need an open boat because they are moving around. The stern deck end got wrapped in copper. 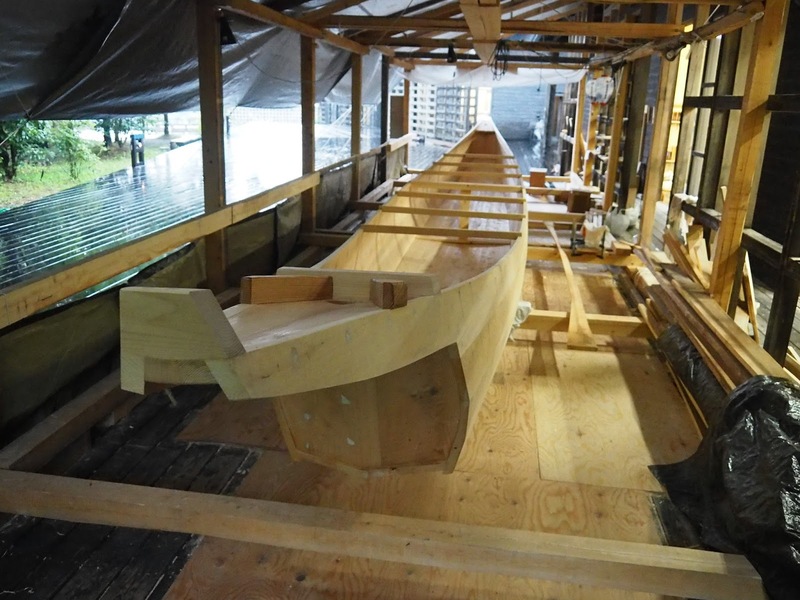 Final measurements of the boat are 42-feet length overall, with a 4-foot beam. About 900 nails at our final count. Actually, only one of those beams is permanent, the rest are just set in to hold the shape of the boat when not in use. When the fishermen work they need to move freely in the boat, so it has just the one center beam and no floor timbers. Structurally it is a sacrifice, as the bottoms of these boats really deteriorate pretty quickly.